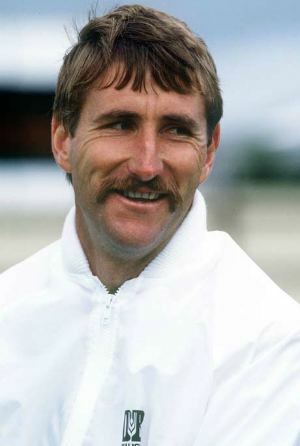 Ewen John Chatfield (born 3 July 1950 in Dannevirke) is a former New Zealand cricketer who played 43 Tests and 114 One Day Internationals. A medium-pace bowler, his chief weapon was his accuracy, giving him economical bowling figures, although he occasionally would come in for punishment in the late stages of limited overs matches due to a lack of variation in his line and length. 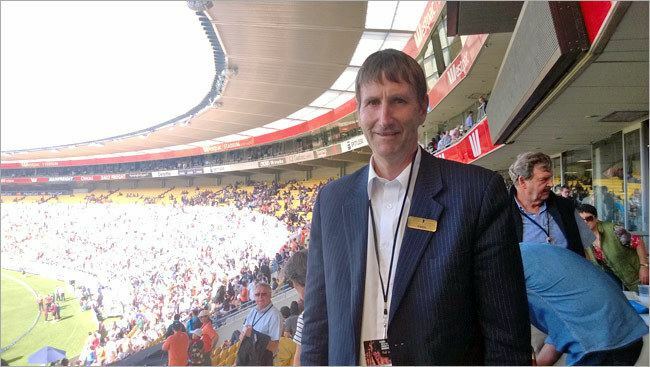 In a three-day match for Wellington in February 1980, Chatfield played a key role in defeating the West Indies, who were at the time the best cricket team in the world, taking six wickets in the first innings and seven in the second. Chatfield also played for Hutt Valley in the Hawke Cup. In 1984 he was awarded the Hutt City Sportsperson of the Year award (the first person to receive this award). 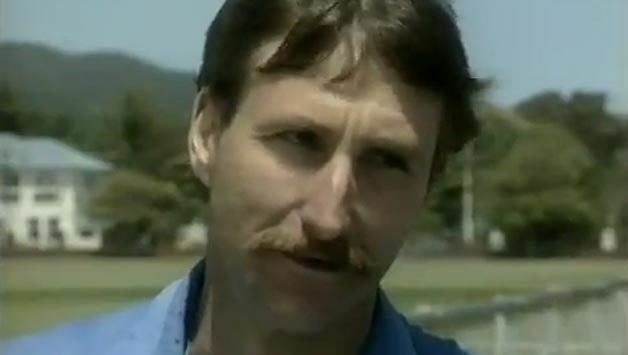 With the ball, Chatfield distinguished himself with efforts against the West Indies, the leading cricketing side of the day, on tour in 1984/85 and in the home series which New Zealand drew in 1986/87. He was also a member of the New Zealand sides which achieved the country's first Test series wins against England and Australia at home and away. 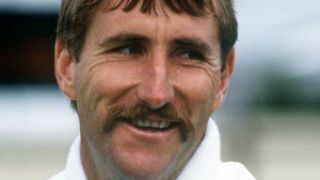 Chatfield spent much of his career as the bowling partner to Sir Richard Hadlee. 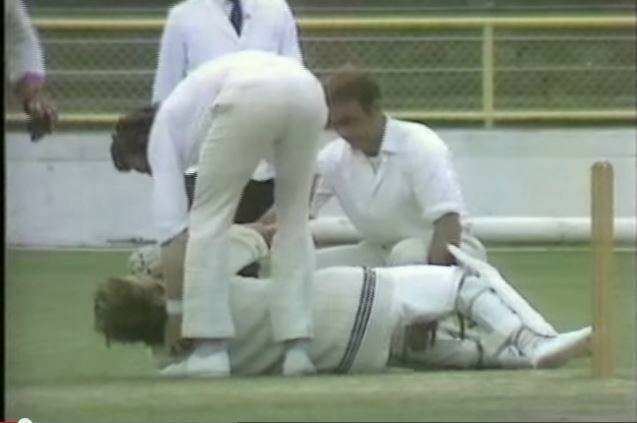 Chatfield is also noted for being seriously injured on the cricket field, in a Test match against England in the 1974/5 season. England were at the end of a long and difficult tour in which they had been defeated in the Ashes by Australia, chiefly by the Australian fast bowlers Jeff Thomson and Dennis Lillee. Chatfield, a number 11 batsman, was holding up England with a last wicket partnership with his future captain, Geoff Howarth. English fast bowler Peter Lever decided to test Chatfield with a bouncer. At the time helmets and other now common protective gear were not in use. The ball struck Chatfield on the temple, rendering him unconscious and not breathing. 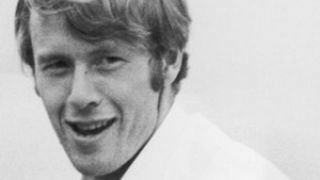 Watching English physiotherapist Bernard Thomas was the first to realise what had happened: Chatfield had swallowed his tongue. He flicked it back into place (and managed to revive Chatfield with a heart massage. Lever was distraught and Chatfield later joked that when he was visited by Lever in hospital, that "he looked worse than I did". A couple of years later helmets were introduced into cricket and Chatfield wore one thereafter. He accompanied Wellington team mate Jeremy Coney in a partnership to defeat Pakistan in the 1984/85 Test series. It was technically not a last wicket win, as Lance Cairns was still available to bat, but Cairns was severely concussed at the time and essentially incapable of batting, making Chatfield his side's last hope for a series win. Chatfield managed his highest Test score, an unbeaten 21. Such was Coney's faith in his partner that Chatfield ended up facing 84 deliveries during their stand as opposed to Coney's 48. Since retiring from first-class cricket, Chatfield has had a variety of jobs. He coached the Hutt Valley association until they merged with Wellington, worked in a chip shop, was a courier and drove a van for a dairy. He also mowed lawns, and in 2009 was working as a taxi driver in Wellington.